Ox Baker formed formatable tag teams with Ole Anderson, Skandar Akbar, Chuck O’Connor, Terry Boulder, and Billy Graham. 1971: Alberto Torres died following an AWA Midwest Tag-Team Title match in which he took Ox Baker’s Heart Punch. ~~~Though the death was due to a pre-existing condition, the fans and promoters credited the heart punch. August 1, 1972: Ray Gunkel suffered a heart-attack and died during a match with Ox Baker in Savannah, Georgia. ~~~Once again this was not truly Ox’s fault but bettered his career. 1978-79: Ox Baker is involved in an angle with Harley Race, Terry Boulder (Hulk Hogan), and Ron Fuller. ~~~The angle included Terry Boulder’s 1st face turn, 1st World Title shot, and first title win. March 1979: Terry Boulder defeated Ox Baker for the Southeastern Heavyweight Championship in Alabama. 1981: Ox Baker appeared on T.V. Gameshow “The Price Is Right”. February 15, 1997: Ox Baker was inducted into the EWF Hall of Fame. 2001: An Ox Baker action figure is created by Figures Toy Company for their Legends of Professional Wrestling series. Ox Baker is now retired and occassionally works as a manager on the indy circuit. Ox Baker now works for US Security Associates in Connecticut. 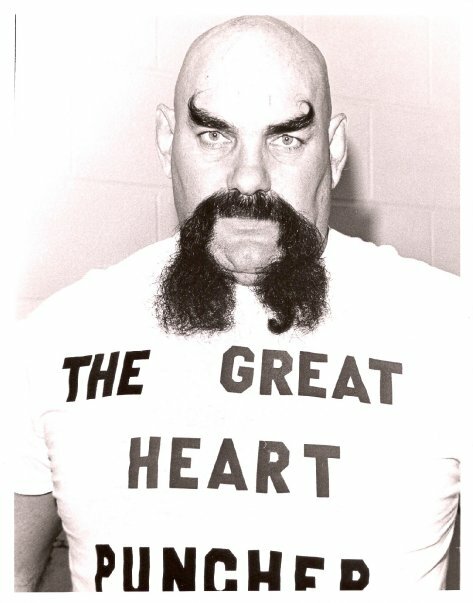 Ox Baker is one of Jerry Lawler’s all-time favorites according to kinglawler.com. Ox Baker appeared in the Hollywood movie “Escape From New York”. Ox Baker published a cook book in which each recipe is accompanied by a story about an oldtime wrestler. November 5, 2005 – MWF/AWA New England: Ox Baker won the “Boston Badboy Tony Rumble Memorial” Battle Royal. September 14, 2009: Ox Baker underwent hip replacement surgery in Connecticuit. April 24, 2010: Ox Baker’s wife, Peggy Ann, passed away at age of 58. November 20, 2010 – All Out Mayhem: Gino Martino w/ Ox Baker defeated Adam Hastey by DQ in South Portland, Maine. October 20, 2014 – Ox Baker passed away at the age of 80.